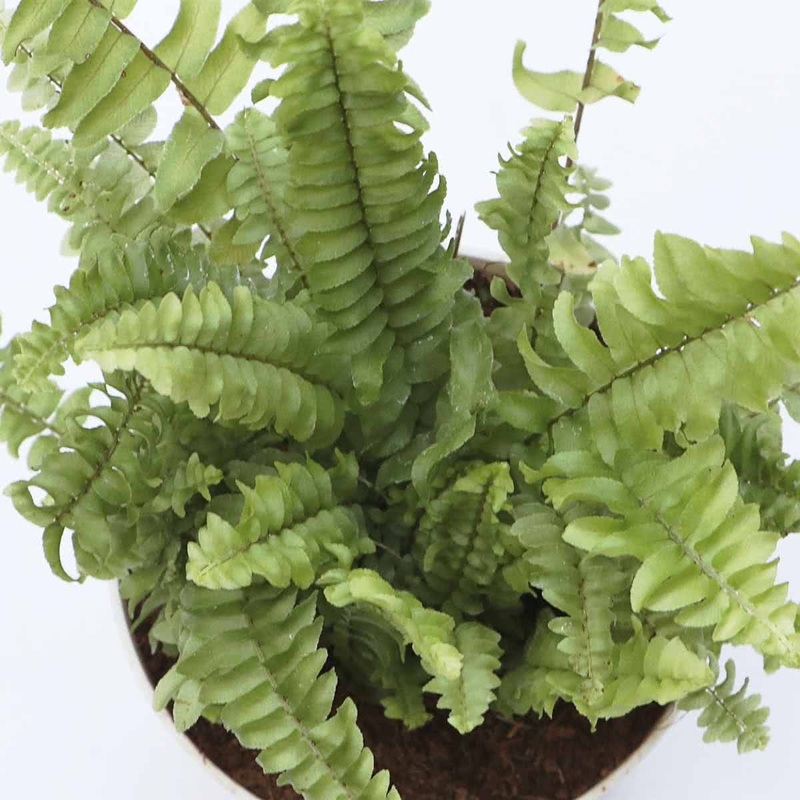 Plant Description: Green Fern Mini makes an excellent houseplant and stands up well to room conditions if kept moist. Its dense green foliage with unique shapes makes it very attractive. 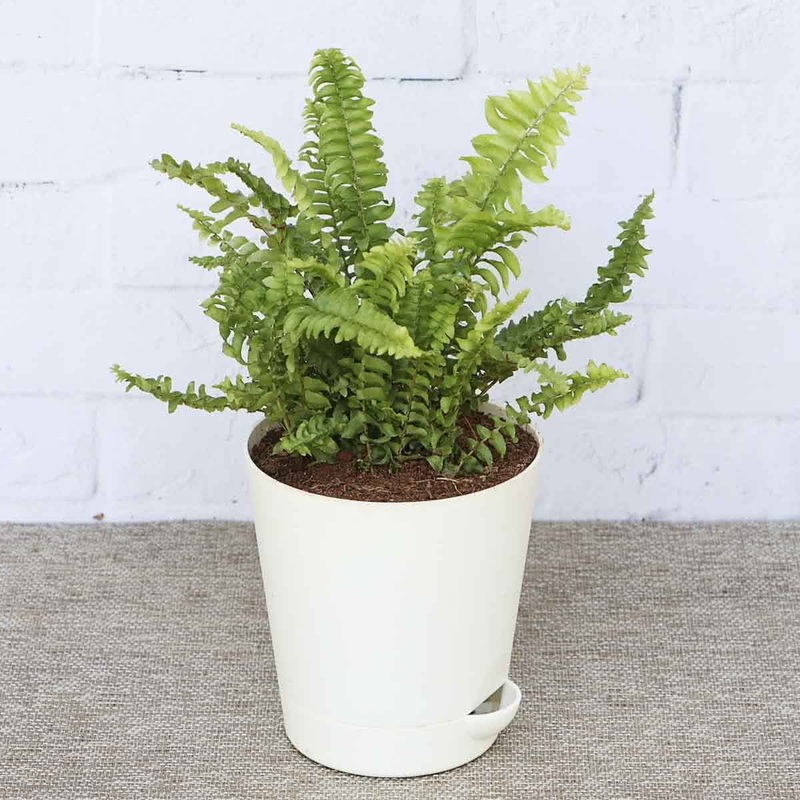 Green Fern Mini is ideally suited for growing in hanging baskets because of its drooping nature and miniature foliage. It can be cultivated in a shade garden, pots for indoor decoration, green walls and can be used in decorating roof & terrace gardens, table tops, bottle garden, terrarium, and window gardens. 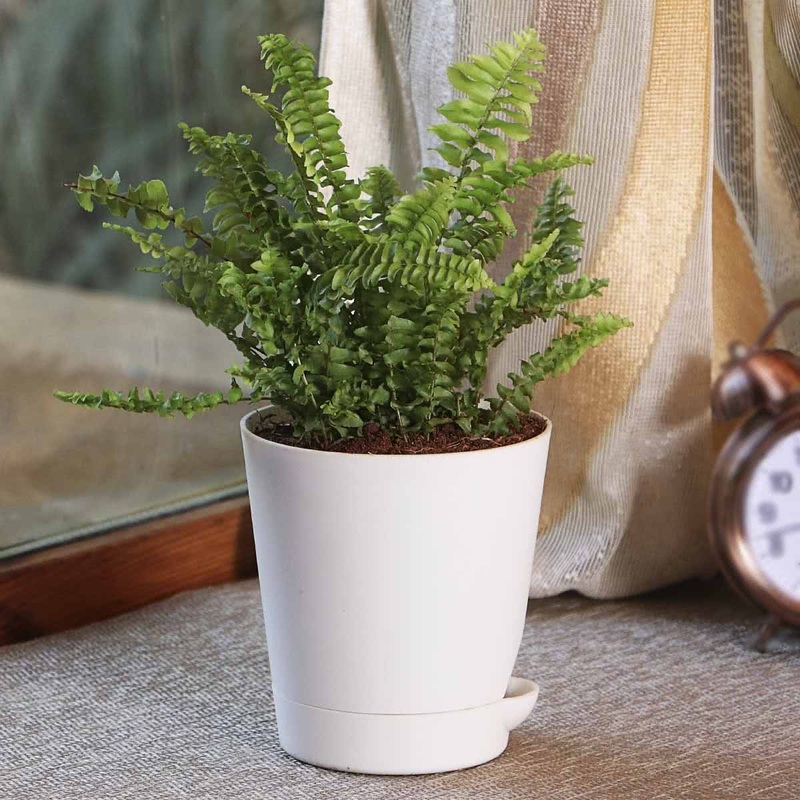 Growth Rate: Green Fern Mini grows rapidly under favourable conditions. Average Landscape Size: For ground covers, Green Fern Mini can be planted at 2x2 ft spacing. Pot Size: Regular pot with a diameter of 8 inches (20 cm). Oversized pots should never be used & size of pots should be just enough to hold the shallow fern roots. Repotting: Repot Green Fern Mini once a year, or only if the fern has densely covered the whole pot. In the case of repotting, only the next size pot (2-3 cm more in diameter) should be used. Sunlight: Green Fern Mini dislikes bright sunshine. It is best grown in indoor shade, or if grown outdoors, placed it the shade or indirect sunlight. Water: Green Fern Mini prefers frequent light watering in the form of a shower. Over watering along with poor drainage may result in the fern to wither away. Humidity: Green Fern Mini prefers conditions with high humidity. When grown indoors it needs moist, fresh air around the foliage. Propagation: This fern grows rapidly and multiplies quickly. It propagates by sowing of spores in shallow pots & pans. But the easiest & most common method of Green Fern Mini propagation is by the division of clump or by the division of creeping rhizome/runners. Ornamental leaf pattern, attractive green leaves.